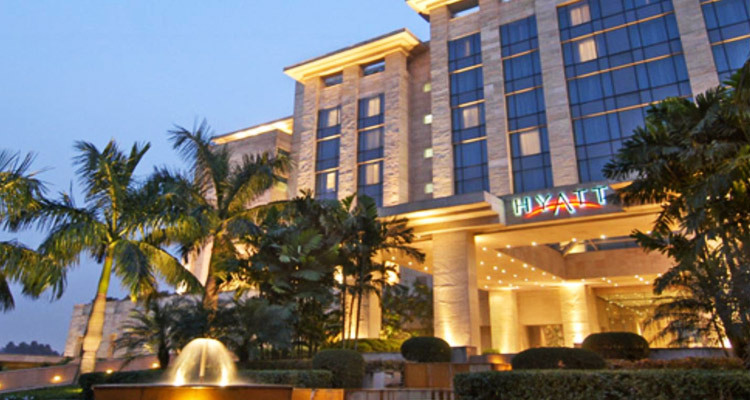 Hyatt Regency Kolkata is one of the finest luxury business hotels in the city. It is perhaps the first five-star establishment of Kolkata and hence is a favorite of tourists and locals alike. All the guests are offered a spacious, secluded retreat in this hotel with surprise luxurious and modern touches to elate them. Located at a convenient distance from airport and business districts, it is perhaps the best stay for business families. There are total of 233 accommodations in this hotel all of them are ideal places to stay. The rooms are elegantly and sophisticatedly furnished to even satisfy most persistent guests. The environment in the rooms is very calm and quiet and after a tiring business meeting/conference, the rooms are ideal for spending a cozy night. The décor and furniture of the rooms are signified by Malaysian teak floors, well-textured walls and large windows giving breathtaking views of the city. The rooms are divided into Standard Rooms, Club Rooms and Suite Rooms. A number of room amenities are provided at Hyatt Regency Hotel including DVD player, Television, Phone, AM/FM, Alarm clock, Mini bar, Complimentary newspaper, Hairdryer, Turndown service, Bathroom amenities, Temperature control, Direct dial, etc. Guchhi: Indian restaurant specializing in Kadhai, Bengali and Tandoor dishes. Waterside Cafe: Buffet spread of Indian and European delicacies available here. The Bakery: For delicious chocolaty, creamy and crunch desserts, The Bakery is the on-site restaurant. The Bar: International brand of drinks available here. The Pool Bar: Delicious snacks offered with refreshing beverages. La Cucina: Italian cuisines available here with international wines. 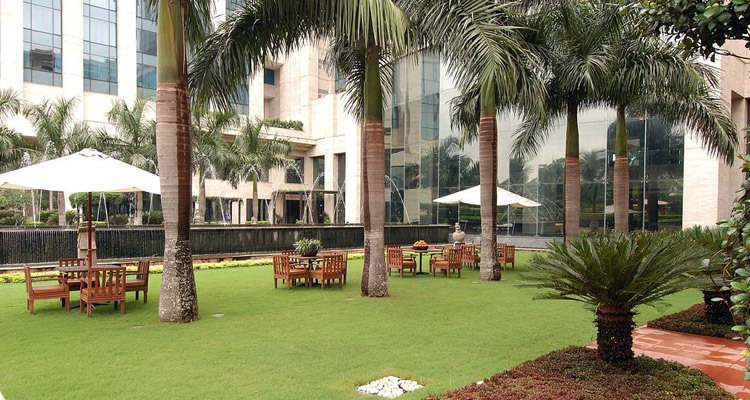 Since Hyatt Regency Kolkata is one of the most popular business resorts in the city, it is bound to keep up with popular business trends to satisfy the requirement of the guests and to live up to its reputation. 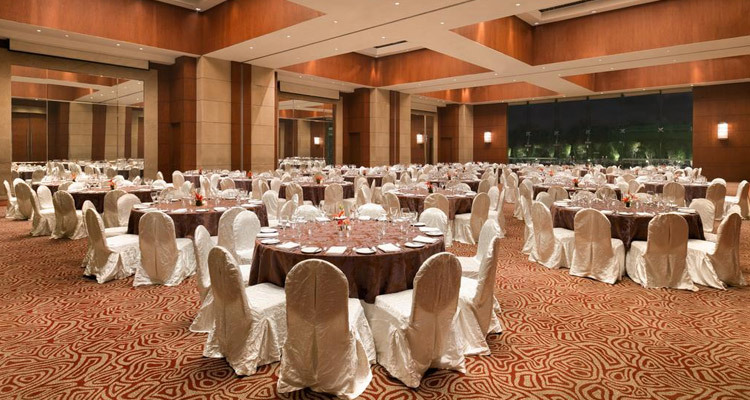 With grand 60o sq m Regency Ballroom, the guests have a fine business center in this hotel to conduct, mega events like, page 3 parties, product launches, seminars, Press events, etc. There are several meeting rooms, conference rooms and small banquets available in the hotel as well to conduct business meetings and conferences. Various other business amenities include Express check in, Express checkout, News stand, Overhead projector, Audio visual equipment, White board, Computer rental, Easel, etc. To provide a relaxing and recreational time to the corporate guests, there is a large golf course available in the hotel where the corporate guests can involve in a game or two of golf. The hotel staff ensures all the golf amenities are made available to the players. Some golf experts also visit the hotel to teach the basic and tricky skills to the guests of the hotel. The guests can also head to Club Prana for a relaxing Spa Massage. Other recreational activities in the hotel include Yoga Classes, Cooking Classes, Salon Pool, Fitness center, Jacuzzi, Sauna, Children's activities, Jogging track, Tennis Play ground, Boating, etc. 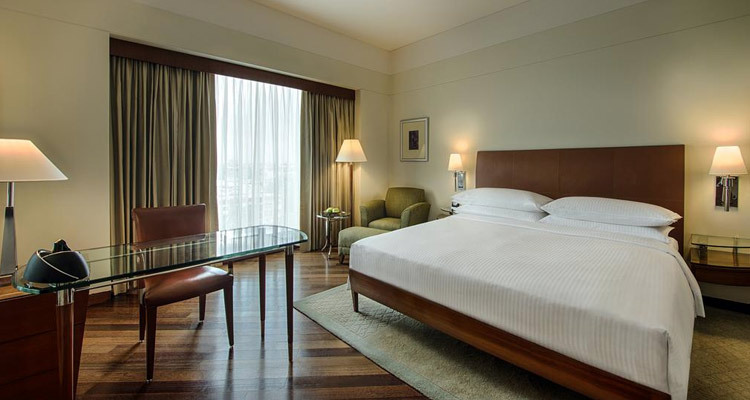 Other major facilities and services provided at Hyatt Regency Kolkata are 24 hour front desk, Laundry, Childcare, Concierge desk, Valet parking, Wake-up service, In-Room Safe, Tour desk, Car rental desk, Doctor on call, Gift shop, Currency exchange, etc.